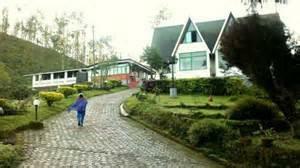 Camelot Resort Munnar facilities & contact details are given here. Camelot resort is one of the famous and affordable resorts of Munnar.The Camelot resort has been awarded many times for its great hospitality and care. Read the article to know more about the Camelot resort. The Camelot resort is the best place for tourists who really want to enjoy Munnar from its every aspect. Here you could rest in the coziness of the cool atmosphere and her nature sings a lullaby for you. The aroma of the tea leaves would wake you to a new life and the English style cottages and surroundings would really amaze you. The name of the resort resembles the palace of King Arthur in the legends. As the name resembles the place is really a place that gifts you a new royal life. The strolling floral gardens and the green forests will really rouse your instincts and you would really enjoy life that was depicted in the old English romances. The rooms here are designed to make you enjoy a royal lifestyle. The rooms provide all the modern amenities that are befitted for a king. The balconies here offer an excellent view of the sprawling tea gardens and the lush forests. The nature is set inside the rooms where the sounds of the chirping birds shower you ears. The cosy bed promises a good night's sleep and the hygienic and well set bathrooms add to the luxury. The efficient housekeeping unit ensures that you are served at any time of the day whether it is day or night. The rooms are also well decorated with the paintings that take you to the world of beauty. The Camelot resort opens for you a wide array of facilities that make your living easy. All the rooms are provided with 24 hour Tata sky satellite TV that has over 150 channels, 24 hour running hot & cold water in your bathrooms, room service. The place has a modern conference hall to conduct your formal and informal meetings and the doctor on call facility in case of any immediate paramedics and the Tata General Hospital is just kilometers away. The resort provides tent houses in the green meadows of Munnar to enjoy your outdoor living. The tour /travel desk is there to arrange your trips and transportation. The spice shop her sells the most aromatic and the most promising spices you can avail at Munnar and there is 24 hour high-speed facility to speed up your browsing activities. The Camelot resort is a place that has a lot of activities to engage you in the world of fun and happiness. One could just stroll through the well maintained floral garden and the fruit orchard and pluck the choicest fruits that comfort your appetite. Trekking and adventure jeep safari is an ideal activity you can do here. Camelot has a library with an extensive collection of books and magazines. The resort has a gaming centre with a lot of indoor games like table tennis, badminton, chess, caroms etc .Other leisure activities you can do here are the horse riding, elephant safari and boating in the river. The resort also has a children's park and an ayurvedic rejuvenation centre to take you in to the world of a healthy lifestyle. Camelot has a well designed restaurant that prepares a treat to your taste buds. A wide variety of delicious food items are served here. The range starts from the North Indian to the South Indian dishes including a variety of Continental and Chinese dishes. The experienced and skilled chefs make sure that you dine would be pleasing and one that gifts happiness to your taste buds and eyes. Whatever be your holiday plans visit Camelot and see your plans being a part of reality. You will be provided with the best hospitality and care that you can get and the English themed cottage and lifestyle would really make you visit Camelot once more. So the next time when you plan your trip make sure that Camelot Resort finds a place in your plans.